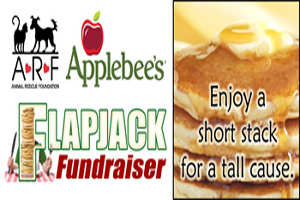 TULSA — The Apple Gold Group, a franchisee of Applebee’s Neighborhood Grill and Bar, is proud to partner with the Animal Rescue Foundation, to host a Flapjack Fundraiser on Saturday, June 21, 2014. 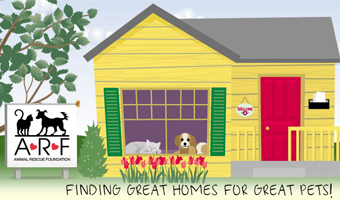 All proceeds raised will be used by the Foundation’s volunteers to help find homes for local stray animals. The Animal Rescue Foundation fundraiser will be hosted by the Applebee’s restaurant located at 4733 S. Yale Street, Tulsa, OK starting at 8 a.m. Tickets for the Flapjack Fundraiser are $7 and can be purchased by contacting J.R. Becker at (918) 477-7606. Breakfast includes a short stack of pancakes, sausage and beverages. Applebee’s is proud to partner with local nonprofit organizations as a way to raise money for their cause. From ticket sales to event-day staff, the breakfasts are managed by the nonprofit organization with the assistance of Applebee’s employee volunteers. Breakfasts can be held on Saturday or Sunday morning, and cost the organization around $2 a meal. The Applebee’s Flapjack Fundraisers represent one of the company’s efforts to remain active within its local neighborhood. To request a Flapjack Fundraiser to benefit your nonprofit organization, please visit www.AGGrestaurants.com. 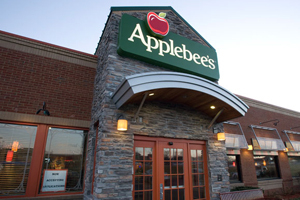 The Apple Gold Group, one of the original five Applebee’s Franchisees, was founded in 1984 to develop and operate Applebee’s restaurants in North Carolina, opening its first Neighborhood Grill and Bar in North Carolina in 1985. Since then, the company has expanded its territory to include Oklahoma, Arkansas, South Carolina, Georgia and most recently, Kentucky and Indiana and currently operates 132 restaurants in those seven states. The Apple Gold Group strives to be a recognized leader in both the casual dining industry and in local charitable fundraising. For more information on the Apple Gold Group, please visit www.AGGrestaurants.com. This entry was posted in Business on June 11, 2014 by admin.